I do see another problem… I have not a lot of private material… I should choose at least one younger actor. What about you, what would your dream cast look like? This entry was posted in Actors, Movie, War Movie and tagged Actors, Movies, War Movies. Mads Mikkelsen, Idris Elba, Viggo Mortensen, Sam Worthington, Ryan Gosling, Jamie Bamber, Daniel Dae Kim, Robert De Niro, Andrew Garfield, Tom Hardy. Your cast should star in the “Hunky Dozen” – a modern remake of the Dirty Dozen. Their characters could be forced to go on a dangerous mission because they were guilty of violations of hair styling, rehabbing, treatment of underlings, temper tantrums, etc. Their mission would be to infiltrate a high security warehouse where copies of their worst movies are being stored and destroy them. Lol. Are you telling me you don’t like my cast? I like your cast, but the new thing is to put the actors through a boot camp to prepare them for a war film. How many of your potentials would go through that? I count four – guess which ones. Why can’t we consider a cast of hot actresses? When, oh Lord, will we get “Amazons”? I would volunteer to help with that boot camp. Of course, of course, you’ll be in charge. 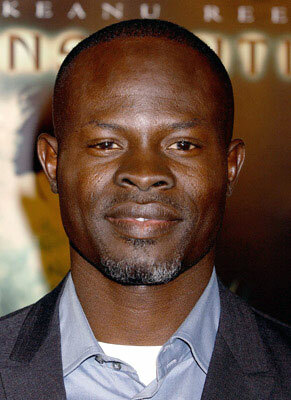 I don’t know which of my cast would make it through boot camp… Mads Mikkelsen, I’m sure, Djimon Hounsou as well… Vincent Cassel seems extremely fit. And Edward Norton. Maybe Gordon-Levitt too…. The others.. I’m afraid not or not after what I have read. Actually I would bet against Reno, Downey, Glenister, and Gordon-Levitt (unless they needed a towel boy). 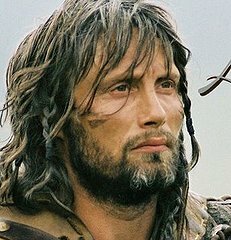 Hell, Mikkelson looks like he just came from a boot camp for the movie entitled “The Viking Berserkers”. Mikkelsen sort of did… but it is called Valhalla Rising… Need to watch it soon. You are wrong about Russell Crowe, I’m sure. He had a hard time coping with the physical part of Robin Hood. The guy’s an alcoholic like Downey… What do you expect? Will let you know when it is being held again. Those are wonderful actors and you’re right…a lot of ego will become a bit of problem there. I really don’t think he did. I don’t know why they didn’t. Denzel Washington sort of did. But I would say that the aspect of the ego comes into this…. All these together in one cast would make the “Behind the scenes” more intersting that the actual movie. Which one do you think will have the biggest ego? I’d say Crowe and Washington.